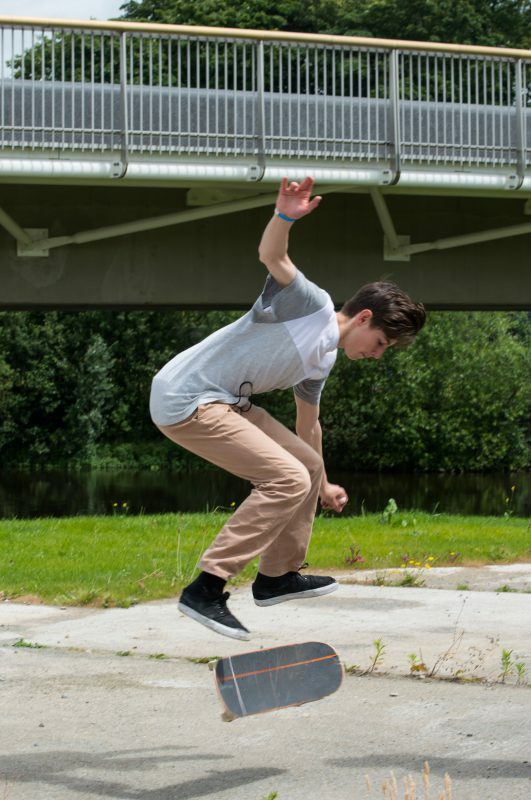 Kilkenny Recreation and Sports Partnership in partnership with Kilkenny County Council commissioned Workhouse Union to undertake the planning, design and implementation of a youth-led engagement process of the future development of a youth and skate park – as part of the new Riverside Garden (Linear Park) in the Abbey Creative Quarter in Kilkenny City. 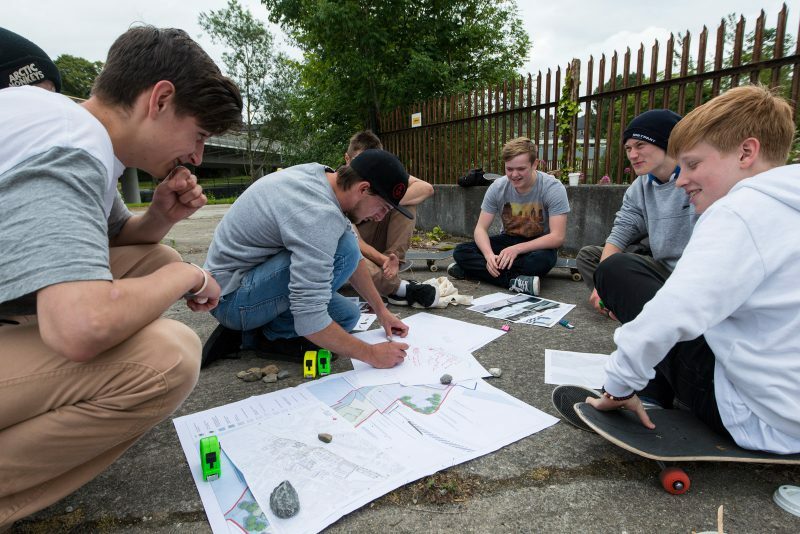 Workhouse Union undertook a participatory design process in summer 2017, with the aim to engage young people in critical thinking about public space in their city and specifically to identify young people’s needs and design requirements for a skate park. 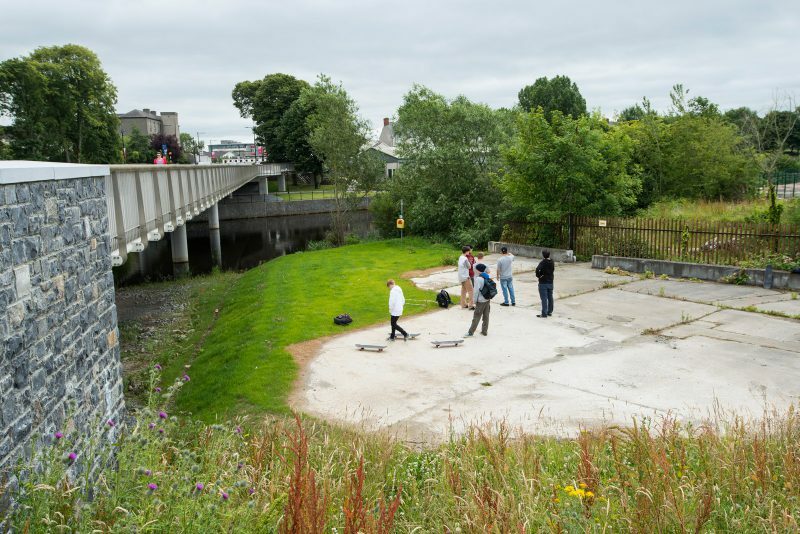 An ambition of the process was to imagine a youth space that is inclusive and open to all young people, as well as meeting the needs of local Kilkenny skaters. The process developed through a series of design-led workshops. CWU facilitated 11 workshops with 224 young people in three secondary schools as well as with other youth groups. Initial research and development arose through meeting key skate park advocates in the city and understanding the recent community led initiatives towards a city skate park. The process culminated in a co-design workshop led by Spanish architects Todo Por la Praxis with a group of young skaters at the future site. Inclusive public spaces are vitally important for a functioning and healthy civic realm – enhancing and revitalising urban life and encouraging new social encounters. 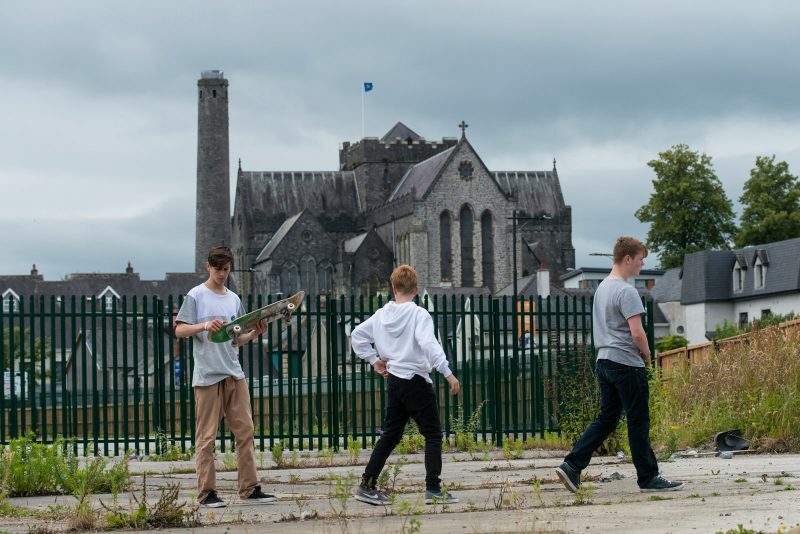 Although Kilkenny is lucky to have a large open space such as the Castle Park, teenagers still need a dedicated public space tailored to their needs. Participatory planning and design processes are a key feature in developing public spaces that work meet the needs of the intended future users. As frequent users of public space, young people rarely have the opportunity to meaningfully participate in designing spaces that suit their particular needs. The public engagement workshops carried out with secondary school and youth groups focused on group mapping exercises exploring ‘my Kilkenny’ and identifying ‘where I feel safe’ and ‘where do I feel unsafe’ in public space, as well as examining the themes of threshold and movement within the city. Many skaters commented that they are in a precarious position skating in the city, often being forced to move from site to site. In the wider consultation young people commented on the lack of designated space for their age group to hang-out safely. There was a strong consensus that there should be public/civic space within the city centre that creates opportunities for play and a space for young people to meet and gather. 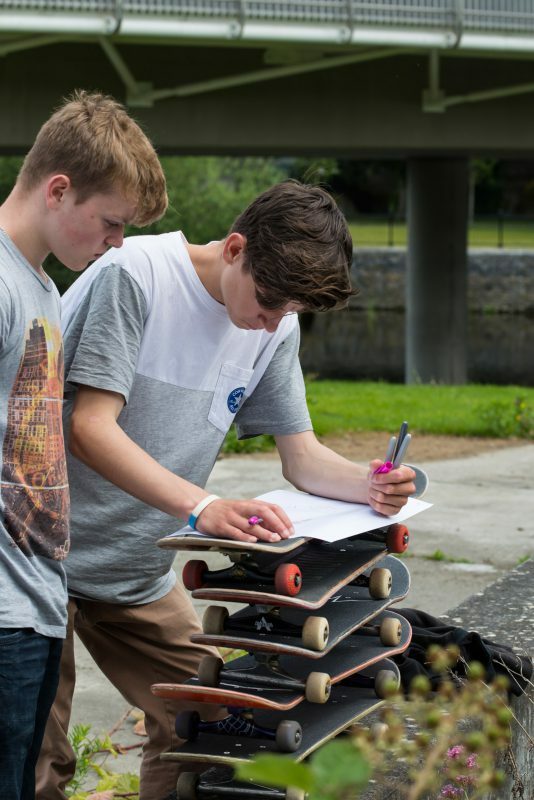 The information gathered through the workshops can inform developments to improve young people’s inclusion and access to public spaces in the city. 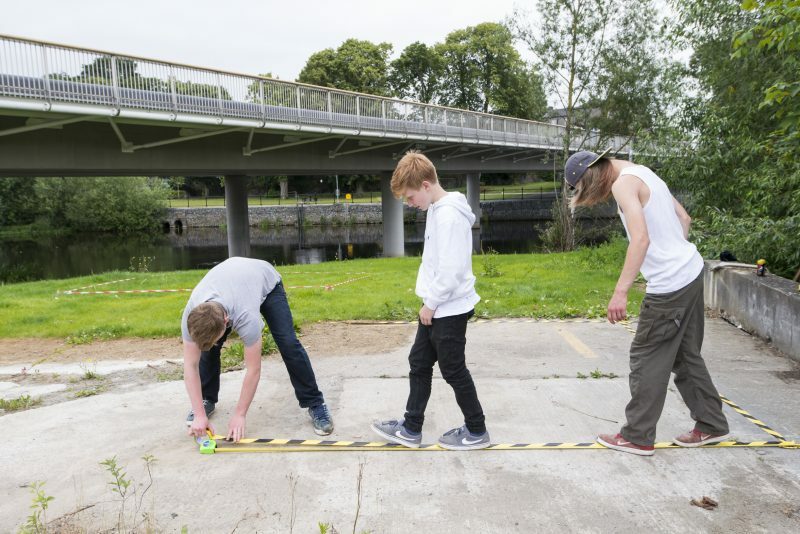 The on-site, co-design workshop was the central activity of the overall public engagement process and was led by experienced urban design architects Todo Por La Praxis with a group of committed young skaters from Kilkenny. The workshop aimed to fully familiarise all the participants with the site and context, which led to a co-design process with both plan sketching and on site 1:1 marking. Throughout the workshop the skaters concerns and doubts were recorded indicating points where the project could be developed. The co-design workshop participant’s dedicated engagement, their talent and their ability in understanding the process was noteworthy. The skaters had common objectives and were able to arrive at consensus quickly as they worked through the design, culminating in a very consolidated draft design.